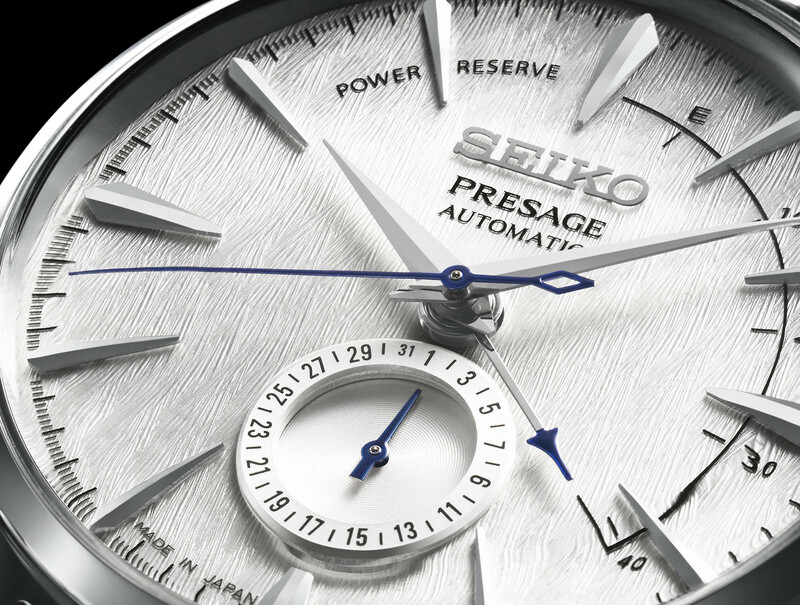 In 2010 Seiko debuted the Presage Cocktail Time collection, a line of watches created in collaboration with noted bartenders in Japan. The latest made its debut last year, inspired by the concoctions of Hisashi Kishi, the award-winning bartender at the Star Bar in Ginza, Tokyo. Conceived to evoke the ritzy libations of Japan’s cosmopolitan bar scene with a variety of dial colours, the Cocktail series combines diversity of design and value for money. 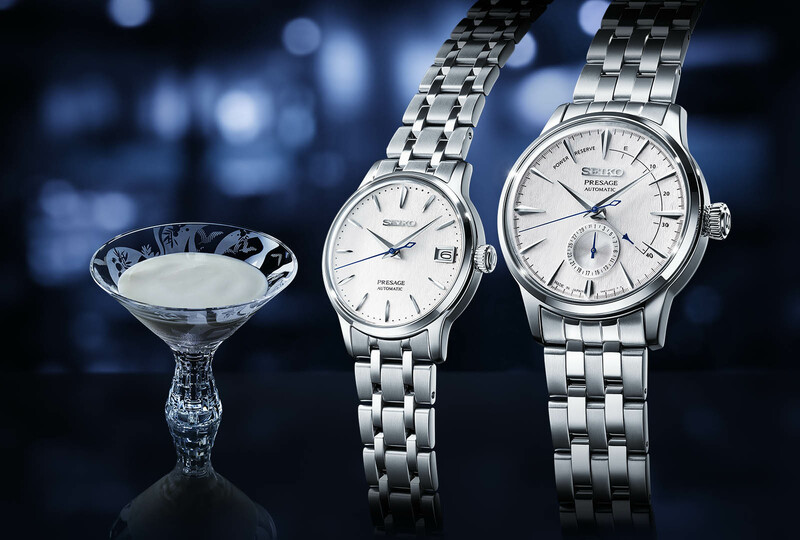 Seiko has now launched the Presage Cocktail ‘Fuyugeshiki’, a trio of limited editions inspired by Mr Kishi’s cocktail of the same name. Translating as winter scene, the Fuyugeshiki feature white, delicately textured dials that resemble a bank of freshly fallen snow. 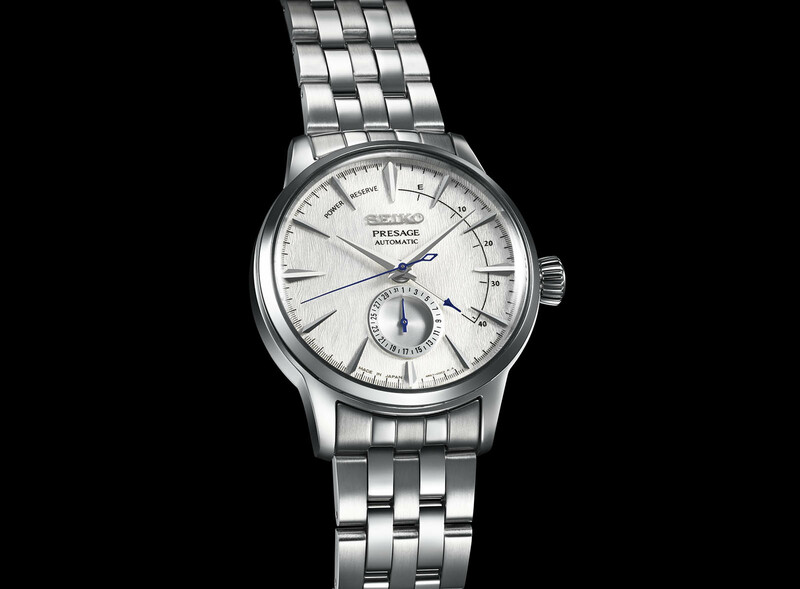 The grained pattern is reminiscent of the popular Grand Seiko Spring Drive “Snowflake” SBGA211, though not quite as delicate as on the pricier Grand Seiko. The Fuyugeshiki range comprises of three models: the SSA385J1 with date and power reserve, SRPC97J1 and SRP843J1 for ladies. They share the same classical lance-shaped hands and sharp, faceted hour markers inspired by the stem of a glass, and are fitted with a highly domed, “box-type” Hardlex crystal (which is mineral glass coated with a scratch-resistant layer). The Presage Cocktail ‘Fuyugeshiki’ SSA385J1 measures 40.5mm in diameter and 14.4mm in height – the thickness of the case due to the power reserve and date displays. It is powered by the automatic 4R57, which indicates the date in a sub-dial at six, and the power reserve on the periphery of the dial from 12 to four o’clock. 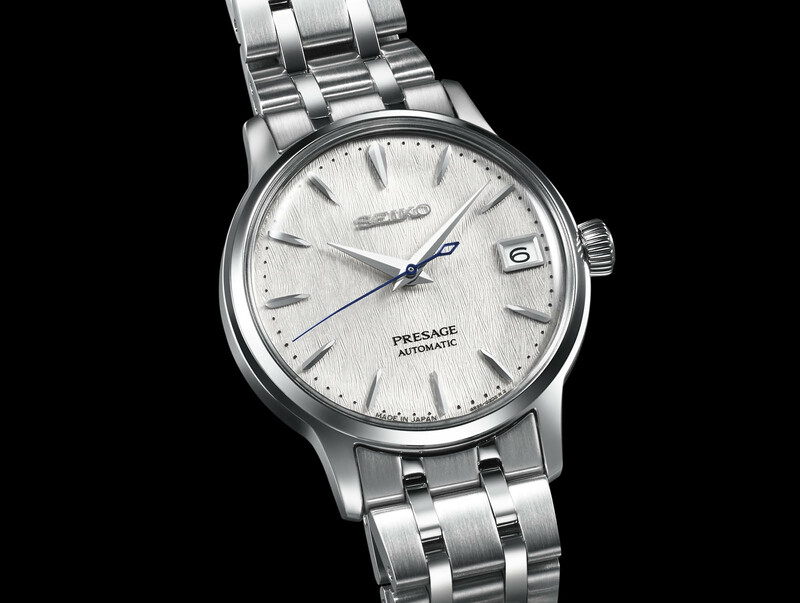 The Presage Cocktail ‘Fuyugeshiki’ SRPC97J1 is a simple automatic for men, in a 40.5mm by 11.8mm steel case. It has a date display at three o’clock. The watch is powered by the 4R35, Seiko’s workhorse movement for its mid-range timepieces that has both hacking seconds and quickset date. The Presage Cocktail ‘Fuyugeshiki’ SRP843J1 is essentially the same watch for ladies, in a 33.8mm by 11.3mm case. It is otherwise identical to the SRPC97J1 and powered by the same 4R35 movement. 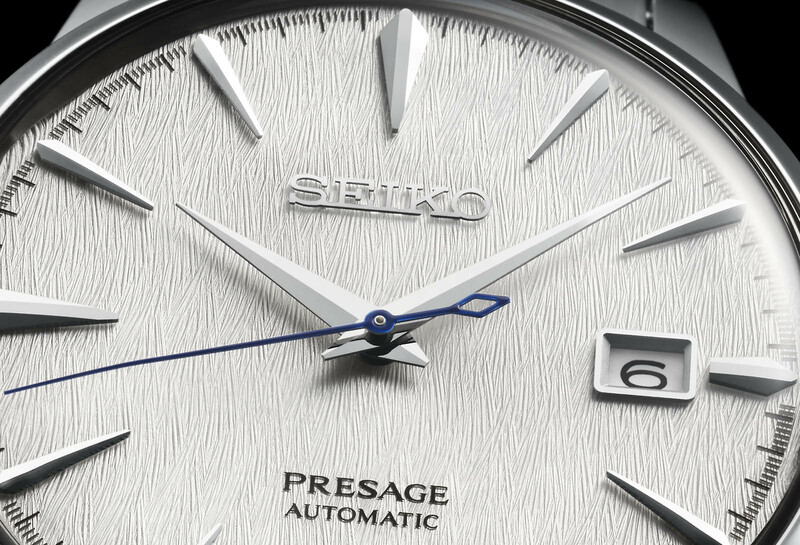 The Seiko Presage Cocktail ‘Fuyugeshiki’ SSA385J1 and SRPC97J1 are limited to 7,000 pieces each and priced at US$610 and US$470 respectively, while the SRP843J1 is limited to 5,000 pieces, priced at US$450. They are available at Seiko retailers and boutiques worldwide. Correction November 2, 2018: The crystal is Hardlex and not sapphire as stated in the previous version of the article.